Solipsism is an extreme form of subjectivism, against which LaVey appears to warn. It also serves as a theoretical model as to how magic could work. “Subjectivism is a problem of epistemology (theory of knowledge). The word describes the fact that we can only understand the world through our own senses and our own rational deliberations, in conjunction with our own limited experience in life. Our brains are imperfect organic machines, not a mystical repository of truth. Our senses are imperfect, our point of view limited, and the reality we experience is never the total picture. Our divergent contexts result in each of us interpreting, understanding and perceiving the world differently to one another even when looking at the same stimulus. Human thought is infused with systematic thinking errors. Our knowledge of absolute reality is hampered by our limited insights and imperfect brains, and we can never truly escape from the shackles of our own minds. Our total take on reality is a mix of guesses and patchwork. These problems have been debated by the most ancient philosophers, thousands of years ago, and no practical answers have yet been forthcoming.1. Solipsism: Latin, only the self. Philosophical solipsism is an extreme conclusion resulting from the problems of epistemology. It is the belief that only the self is real. Because we only have access to our own thoughts and all our experiences are filtered into our own brains (including experiences of our own bodies and emotions) a valid conclusion can be drawn that everything we think we see is not real, and that our self and our own thoughts are the only things that exist. Solipsism is the extreme subjectivist belief that all reality is inside your own mind. It the resultant philosophy of realizing that you cannot verify that anything you feel, see or experience is real. It could all be fake and misunderstood; it is therefore the belief that everything you see is due to your own fiat. Solipsism is in accordance with chaos magic and subjectivism. It, however, an unscientific theory in that there are no tests that you can perform to test its truth; it is irrefutable. It is based on reasonable logic - but taken to an extreme that may not be warranted by the evidence. A reality per person. This is the belief that all beings exist in a completely different reality. That every living person views their subjective universe in such a different way to everyone else that it can be said to be infinitely different and fundamentally separate from other people's realities. This means that all interaction with people is indecipherable, meaningless and infinitely obfuscated. What one person views as an "interaction" could be something completely different from the other person's point of view. One reality, one self. We cannot verify that any other living being exists except for ourselves. All interactions with other "people" are, just like reality, constructs of our subconscious desires. Our own consciousness is also a part of our subconscious (of course), but our subconscious is also responsible for creating other people, objects, the laws of physics and all of our own experience. All reality is imagination on behalf of the subconscious, but our conscious self (the self we feel to exist in our bodies) is only a part of our subconscious. It is like stating that all the universe is a single conscious being, and that being is one person, like Pantheism but the perceived universe is believed to be the self. Quantum Physics. It is possible our influence (caused by our perception of the world or through very subtle effects of our electric currents, etc) can affect other people's minds and even objects and that perhaps we are doing this subconsciously all the time. However, scientists strongly disagree that this is a correct implication of what is known of quantum physics. Solipsism - we are all gods. After pseudo-scientific ideas centering on quantum physics, the second potential explanation for magic uses a solipsistic model of reality. Everything we see is a product of our own subconscious imagination. Our conscious self then interacts with this creation and we therefore experience our world. This truly makes us all gods, each individual being the sole creator of hir own reality. Greater Magic is simply a case of our subconscious altering things about reality according to its wishes, but in contradiction to the normal rules of science that our conscious self has learned about. All we have to do in strive to be more in touch with our subconscious to achieve effective results in magic. In a solipsistic world, Greater Magic is self-control and self-reflection. As reality is your own subconscious in the first place, then your subconscious can change that reality. Despite my description of it, I do not think that solipsism is true, rather, we do indeed all inhabit the same objective reality even though we see things subjectively. Solipsism is such an extreme conclusion that it warrants extremely good evidence and unfortunately, there is no evidence for it. This isn't to say that we ignore the problems of epistemology, but, that those problems probably have a much more mundane solution. See "Metaphysical Solipsism is Not True" by Vexen Crabtree (2010). 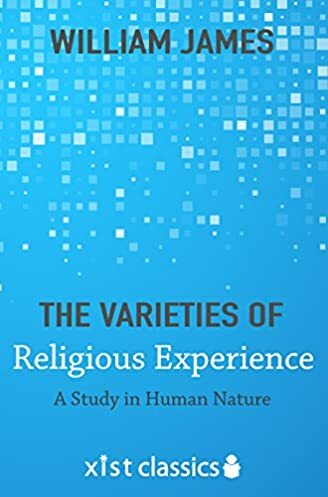 (1902) The Varieties of Religious Experience. Paperback book. Subtitled: "A Study in Human Nature". 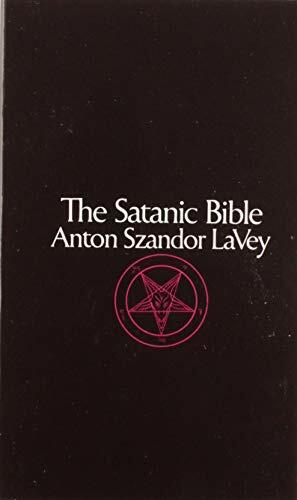 5th (1971 fifth edition) edition. Originally published 1960. From the Gifford Lectures delivered at Edinburgh 1901-1902. Quotes also obtained from Amazon digital Kindle 2015 Xist Publishing edition. Book Review. (1946) History of Western Philosophy. Paperback book. 2000 edition. Published by Routledge, London, UK.